When an ISIS affiliate descended upon Nigeria, mercenaries played a major role in pushing the terrorists back. Is outsourcing the name of the game when it comes to modern conflicts? We asked Cobus Claassens, the managing director at Pilgrims Africa and veteran soldier for hire. Sophie Shevardnadze: Cobus Claassens, Managing Director at Pilgrims Africa and Executive Outcomes veteran, welcome to the show, it’s great to have you with us. Now, Cobus, you run your own security company now, after having spent years in the special forces, and then reached fame as a member of mercenary unit Executive Outcomes; there have been TV programmes about you, a character based on you was played by Leonardo DiCaprio in “Blood Diamond” – are you using all this fame and attention to bring more clients, to promote the business? Is this a good thing? Cobus Claassens: Right, so, we all get older, obviously, and follow different career paths. Let me just rectify something from the start. Not so much special forces units as airborne units, close, but not the same. That’s where I spent my military career, and yes, after that I joined Executive Outcomes, and I had a couple of years with them, and after that I formed my own company and then carried on from there, and now, for the last 11-12 years, it’s been Pilgrims Africa, in which I am a shareholder and a director, quite happy to do normal commercial and domestic part of security work. SS: Alright, but what about the media question, do you like the media attention? Does it help you get clients? Is it good thing for business? CC: No, I don’t like... I am media-shy, and so are many people in my business. However, I am one of the older guys around, and I feel that we should have a voice, and if it’s a sensible set of questions, we should answer them and we should speak out for our industry, and also for that of the private military business, because we feel that… That has right to exist, it has a place in modern business and politics, and somebody should answer those questions and be on the media, so here I am, reluctantly, but quite willingly, yes. SS: So why is it, though, because other mercenaries from your generation that I talked to, and I’ve spoken to quite a few, they’ve said that the media always portrays them in a negative light. Do you feel that sting as well, do you feel that the public opinion is against you because you are considered a mercenary? CC: Well, we all thought that well-balanced media will follow the story regardless. Unfortunately, in the early days of Executive Outcomes, there was a more sinister or a more politically driven agenda that planted stories, this is well-documented in Eeben Barlow’s research and his subsequent book on that. So, to a degree, Executive Outcomes was the victim of a smear campaign, which is different from good reporting. On the other side of the coin, we have enjoyed fair and honest reporting, for example, the BBC reported on our presence in Sierra Leone back in 95-96-97, in very favourable and correct manner. Because at the end of that conflict, all parties that was in the conflict was tried or was investigated by the special court. And Executive Outcomes was given a clean bill of health. And this was well-reported by the BBC, and was picked up by other news media. So yes, there is good and bad, we have to live with it, that’s our modern world that we live in. SS: So the private military companies on the continent, like Pilgrims Africa that you are running, they are all based on people like you – South African, or other regional army veterans. Is there a new generation coming to replace you guys? Are there young people interested in this kind of work? CC: Let me just make another distinction quickly, Pilgrims Africa is part of the British Pilgrims Group. And we are a commercial security firm, well-registered, we pay our taxes, we do nothing that can be considered to be a military type of work. But yes, to answer the second part of your question – in private military companies there certainly is a new generation. Back in the day, it was an exclusive small group, was commonly known as the circuit, everybody knew each other. And to a degree, people understood the reputation of people, and because of that military action in Iraq and Afghanistan... That led to a whole generation of new young soldiers that left the services and went into the private security work, and many of them found their way into private military companies. The market was flooded, not necessarily with quality people. Many of the guys were good, but many of the guys were not so good. And some of them got kicked out of the military, and they also migrated towards a career in the private security industry. So, to be honest, modern security business had to catch up with rest of the world and properly vet candidates and employees and go through the same process as any corporate entity would these days to determine if the candidate sitting in front of them for the job interview is in fact qualified, is in fact experienced, and is in fact the right guy for the job. SS: So, I can see that, you know, you’re so experience in the military world and in private military world. How do you recruit people? Do you look for physical attributes first and foremost? Or mental strength? Or moral fibre? How can you tell without combat testing that a person is solid, reliable, hireable? CC: Oh, there is again two sides to this answer, the first is the commercial security business that is of international scale and that has clients that are listed companies all over the world. You know, there is a new international standard for security companies, it is called the PSC.1 standard, United Nations-driven, and it is client-facing. It is all about compliance, so as part of that process, we have to be compliant with the way we recruit our personnel, whether we recruit a security guard or whether we recruit a director. So we go through the same recruitment processes as any corporate entity would go through. When it comes to a PMC, or rather, let me delve down a little bit into the, sort of, slightly murkier world of military contracts that are handed out by dodgy governments or by dodgy entities, then it’s the word of mouth. Normally they would approach somebody that they trust, or they would be a… They would have a solution pitched to them by an entity that is registered offshore and that consists out of former military personnel. And those guys would then put the word of the mouth out there, they would use social media, phone calls, e-mails, and they would gather the guys pretty quickly. In general, they would recruit people they know, but if it’s a large contract, and there is a lot of guys needed, then obviously, sometimes the quality slips a little bit. SS: So, you mentioned that your company mostly does defensive work, and you said you make a distinction between companies that only do protection jobs and those that also go on the offensive. Do you miss working on a company that can mount offensive operations? Is it more fun to be chopper-hopping after, I don’t know, Boko Haram in the bush than escorting an oil executive from the airport to the rig and back? CC: There’s all sorts of differences between a commercial security company and a PMC. A commercial security company delivers a wide range of services that borders on logistical services, outsourcing services, technical services. For example, the installation of security measures around an office, CCTV cameras, fencing, lights. It provides manned guarding, this is a guard, the front of office guy who sits at a security post, or somebody that patrols a large yard or a fence. Now, on the other hand, a PMC will often engage in combat, and that for me is the difference. PMCs don’t necessarily engage in combat. PMCs, private military companies can get involved in the back end of proper militaries, proper armies across the world in a support role, but PMCs are sometimes also involved in combat training and, in some cases, they get involved in combat. And that for me is the main distinction. If you ask me whether I miss the days when I left the army and I’ve been part of the private company that engaged in combat, yes. It’s a brotherhood, and you do miss it, and it is special, and the bonds that you form back then stay with you forever. But as you can see, I am getting older and grayer now, so that is not my number 1 priority in life anymore. SS: Did you ever encounter customers who tried to misrepresent your mission in any way, to cheat you into doing some downright dirty work? CC: Oh, no, it’s the stuff that stories of fiction are made of. To be honest, when a PMC engages with a customer, the contractual requirements are normally laid bare long before any work is done, before any money changes hands. During a mission, or during a deployment, or during the duration of a contract, yes, the requirements may change, but being tricked into a change – it has never happened in any operation, or any kind of contract that I was involved in. Normally, there would be a bit of give and take, normally, there would be add-on expectations from a customer. Sometimes objectives that are met by the PMC, are not necessarily visible or clear, or the specific objectives that the client wanted. So that would be a process of negotiation, it is a business after all. SS: Tell me something, when PMCs have to defeat an enemy on the ground they act like classic armies – they start with an air onslaught, then finish them on the ground. What are the techniques PMCs use to avoid civilian collateral? CC: Yes, when a PMC engages in combat it’s... There is no difference between that and any armed force engaging in combat. The fact that they for some reason work for a civilian company or private company that is there on a contract makes no difference. Once the bullets start flying, the same tactics apply. And in each and every case that I have been involved in and that I know of, PMCs took extraordinary measures to avoid collateral damage. Specifically, the targeting or even the accidental harm to civilians. In most cases they were greatly successful, because they set that as an objective. A standing army that attacks or bombs a target will consider collateral damage, but in a political way. It’s not that prime concern, whereas for PMC it is, very much. So, often in the planning of military or combat operations for a PMC where I was involved, the effect and impact on civilians was front and foremost in the planners’ minds. And often times when there was a chance of civilians getting hurt, the plan was not executed, or it was modified in order to avoid that. Like any private business, it considers those things that is bad for business. Having civilians hurt or killed, or having a property damaged that should not be damager is definitely bad for business, and therefore PMC sometimes considers things in a different way than a standing military would. SS: So UN Convention bans the use of mercenaries, while civilian governments use it as a dirty word, and yet we see that, time and time again, mercenaries come to the rescue, say, in Sierra Leone, for instance, against Boko Haram, etc. Why are private military contractors more effective than UN peacekeepers, or national armies, for that matter? CC: Well, again, it comes down to a innovative mix of military strategy and tactics mixed with business principles, so that’s where a PMC has an advantage over an army, if I could call it that. They would respond, for example, to a client request in the quickest and most efficient way possible. Political considerations not so much foremost in their planning. Business principles are, if you are getting paid by the hour, then you will make sure that you are as efficient as you can be in that hour. So that’s first and foremost where PMCs can be more efficient than militaries. I have to qualify that though, there is no PMC on this planet that can fight a major war. That’s not the point and that never where PMCs come in. At this point in time and into the foreseeable future, PMCs provide a limited, yet, quick and efficient solution as part of a larger and broader solution. For example, you’ve mentioned Boko Haram here in Nigeria, and I happen to be in Nigeria and I happen to understand what happened here. The PMC that came here was not contracted to win the whole war. The PMC that came here was contracted to train a unit and to create that from scratch, and then to go into combat and achieve limited objectives, so as to show the Nigerian military some initiative, to get them on the front foot, to get some momentum going and to achieve certain limited objectives. I believe they were contracted initially only to come in and rescue the Chibok girls, you remember the girls that were kidnapped from their school. And that mission then changed eventually, it became slightly broader in scope. But there was never an idea that they would stay here for years and fight the war that was meant to be fought by the national army. They worked for a specific mission. And that’s where some people make a mistake and report wrongly. Nigerian soldiers are brave and physically capable to fight, and quite willing to fight, as a matter of fact, they are some of the best in the world, I’ve fought with them, I can say that. However, their leadership has failed them. Past leadership has degenerated the logistical capabilities in Nigerian military, and the training has been lacking. So there a PMC can come in, pick up the slack, very quickly restore the training standards and doctrine, at the same time, help them with their logistical supply and procurements, so that the right things are bought. Things that will matter and make a difference. Teach them how to use that, help them to deploy that and then step back and step out of this, out of the picture. So a PMC’s role is a limited, albeit a very effective one. SS: So, Nigeria continues its struggle with Boko Haram, which is now seemingly split into two factions. Your former colleagues from EO have put Boko Haram on the run 3 years ago, working for the Nigerian government – but seeing that the group is still here, were their efforts not enough? How would you assess? CC: Well, first of all, the former EO, as you say, Executive Outcomes, was disbanded a long time ago. The company that was contracted to come and help the Nigerian government was a different company. Some of the personalities were the same, but believe me, very few. On the whole, this was a different company and different bunch of people. And I know, because I met some of them, and I spoke to them, and obviously we interact on social media and via e-mail and so forth. They do a good job, they did a brilliant job. They did fantastically well, considering the constraints of time and money, they were given just a part of the budget that were promised, and they were given a very short period of time, as a matter of fact, over December, to mobilize and, you know, a mobilization like that would be a logistical effort, and logistics means arms and ammunition, nobody sells arms and ammunition over December to private company, everybody goes on holiday. So they pulled off half a miracle. I say half a miracle, because, unfortunately, due to financial constraints they can’t find themselves to base and then they left, they were thrown out of Nigeria. It’s a great pity, that they were not given the opportunity to finish what they were contracted for. I believe they would have saved hundreds of thousands of lives, and Nigeria’s northeast would be in a politically far more stable condition than it is right now. SS: Like a lot of other militants in Africa, Boko Haram is operating in an area where it is easy to cross the border and flee into Chad, Nigeria… Cameroon is facing too much pressure. Can Nigeria even deal with it on its own? CC: No, I don’t think so. Nigeria needs a concentrated effort. It has to be a collaborative effort between Niger, Cameroon and Chad, at least. And Nigeria, and all of these other countries, needs help. Most of their militaries hark back to the conventional days, so their order of battle, their structures, the way they teach their soldiers and train them – is in a conventional manner. Unfortunately, they are facing a counter-insurgency or an insurgency enemy, and they need to adopt a counter-insurgency strategy and tactics, and equipment, and formations. They need help with that, they need to be assisted in order to restructure the material, the manpower on the ground is fantastic. They are brave, they are strong, they are physically capable, they are nationalistic, they are proud of their countries, they will fight. But they need to be taught how to fight, and they need to be equipped correctly and trained correctly. SS: I read that back in Sierra Leone, Executive Outcomes was so successful because it was able to get help from local militias who knew the area and the people. In the fight against Boko Haram, do you see the trust between the military operating in the country’s northeast and the locals? CC: Well, there’s an important decision for governments that are facing enemies like Boko Haram has to make. And that is whether to enlist civilian help officially. In some countries like Sierra Leone it was done successfully, the local hunting societies was organized in a paramilitary group, and a part of that was placed under Executive Outcomes control and utilized very effectively. The same can happen here, but first of all it has to be a political decision by the political leadership of the country. Are we are going to arm civilians and put them in harm’s way in order to supply and support the military. If they do make that decision, however wide or limited that decision may be, then those people can be invaluable. As a matter of fact, right now the fight is carried to Boko Haram and its offspring by local militias that are simply armed with shotguns and the occasional AK-47. But these people are fighting to protect their lands, their villages and their people, so they are effective in what they are doing in a counter-insurgency role. I think there’s scope for them to be organized, well-controlled, well-trained, well-mobilized, and it will certainly add value. SS: Boko Haram pledged allegiance to ISIS a long time ago, but do you see an ISIS province in Nigeria’s northeast as a real possibility at this stage, or is it more like a jihadi pipedream? CC: Look, I am sure that there is a technical difference between ISIS, Boko Haram, ISWAP, Al-Qaeda and ISIL and whatnot. If you take a step back and you look at a problem, it is a militant Islamist problem. They each have a unique character, unique leaders and maybe slight differences in tactics and approach to the issue, but it’s a common enemy, and it stretches all the way across the region now, and it should be seen as that. So, I have no idea whether ISIS would establish a cell here and call themselves that, or that they would drive on the back of the already established Islamist militant movements here. For me, there is an enemy, and it is destabilizing the state, it is killing a lot of innocent people and needs to be stopped. SS: Boko Haram reportedly uses child soldiers, and so did the Revolutionary United Front, the group you faced off with in Sierra Leone. Did you ever have to engage a unit that included children? I mean, how tough is it for soldier to face them on a battlefield – is the person in the sights a child first and, you know, a soldier second, or vice versa? CC: Look, in Africa young people have been combatants forever. In Sierra Leone, we found out that immediately. It’s really hard for a soldier in a contact situation, in a battle situation to distinguish the age of the opponent, all he sees is a shadow with a gun firing at him, and he is completely within his rights, and it is internationally his right to defend himself or to attack that objective and kill that person. If it turns out to be a 12 years old with an AK-47, it’s heartbreaking, but unfortunately, unavoidable. It has happened, and it will continue to happen, because these are not standing armies, these are not people that play by the rules. Yes, they recruit children. Children are responsible for major atrocities, and they form a significant part of the combat force of Boko Haram and ISIL. Double tragedy. There is nothing to be done to avoid that, it’s a long-term solution. Kids belong in school, not under arms. SS: Conventional armies at this point have been going high-tech with drones, satellites, other hardware in place. Is this high-tech apparel also available to PMCs, are they using the latest and the hottest, or do you guys make do with what you‘ve got? CC: No, what astonishes me is where the military technology has gone over the last decade or decade and a half. The fact that a man can sit in a container in the continental United States and direct a drone to kill an enemy halfway around the world at a push of a button is amazing. PMCs definitely do not have access to that level of sophisticated armaments. The best the PMC can hope for is a working GPS, perhaps good radio satellite communications, and perhaps a little bit better armaments than what enemy has, but often times it’s an even match: AK-47s, heavy machine guns, anti-tank weapons, perhaps the old helicopter or fixed-winged aircraft or two that makes the difference. SS: Cobus, thank you very much for this interview. Different to have heard your insight. 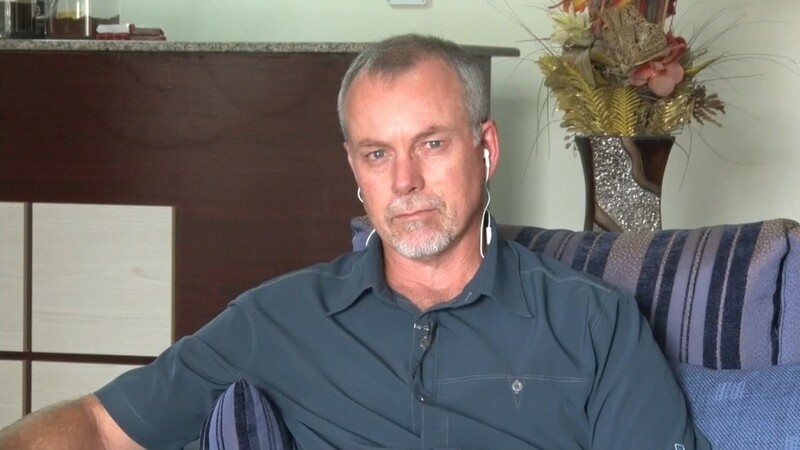 We were talking to Cobus Claassens, head of Pilgrims Africa and veteran of Executive Outcomes, discussing his life as a soldier for hire and the future of privatized war. That’s it for this edition of SophieCo, I will see you next time.